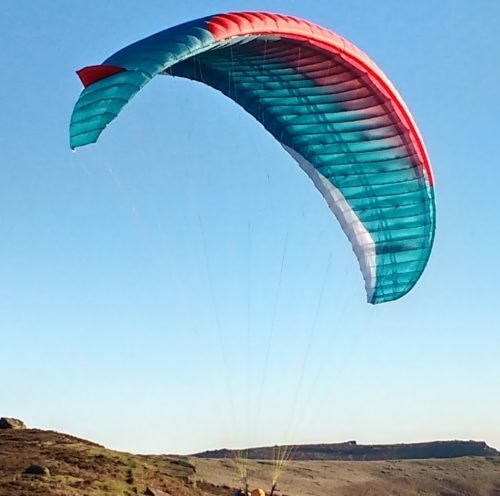 For sale, my Advance Epsilon 8 size 29 paraglider, EN B class wing, colour “Pacific”. I have owned it from new, bought end August 2016. The total hours airtime are logged at 27h. 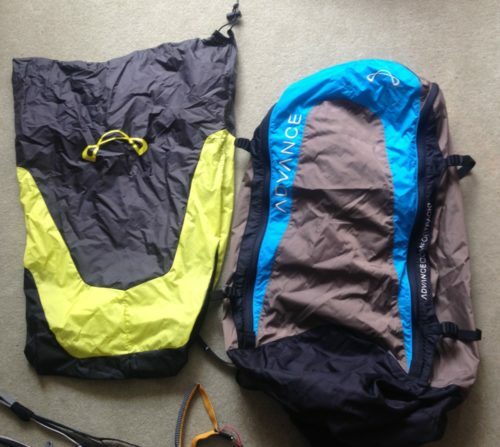 I am meticulous about my paragliders and always keep them covered or loosely folded when not being flown. Comes with Advance inner and outer bag (outer bag unused), and Advance repair kit. The wing is in very good condition and has no damage, and no repairs. reason for sale – I am stepping down a size. Price reduced for quick sale.